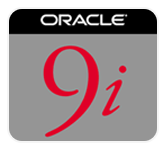 Oracle 9i tutorial is developed to describe about how to develop offline mobile database applications for Window 32 systems with the help of Oracle9i Lite. The tutorial mainly covers creation and provisioning of data subsets to users and not on the user interface of the application. This tutorial is designed for oracle professionals is tutorial prepares the Oracle Database 9i professionals and mobile developers to apply mobile development concepts. To understand this tutorial one should be familiar with Oracle9i Lite concepts, tools and techniques before continuing with this tutorial.